This topic contains 28 replies, has 9 voices, and was last updated by Jack 2 days ago. I will start from the beginning. I had a Renault Clio Motability Car for 8 months, I got permission from Motability to cancel because of worsening health and needing a car that was bigger and higher up so I wasn’t climbing out of it. I’ve just got a Renault Captur Iconic. I’m very unhappy with the service I have had, even though the car is ok, I did not get the car that was 100% suitable for me and should have had because firstly at first they were not honest with me and didn’t tell me that they had a Renault Captur GT Line in stock at Renault Aldershot SMC even though they supposedly checked on their system. 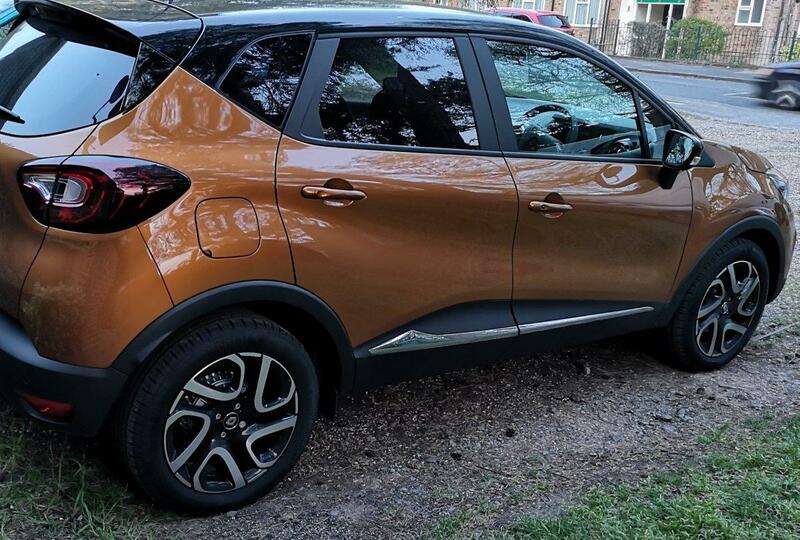 On Monday 1st April 2019, I ordered a Renault Captur Iconic at My local Renault SMC, it was apparently a car that had already been cancelled and was on the forecourt, I ordered it because they informed me that they did not have a GT Line Captur in stock which is the one that met my requirements and the one I wanted. However, they were not honest with me and I found out that the other local Renault SMC had one in stock at their branch in the showroom which I could have. So on Thursday 4th April, I went to the other local Renault and I viewed and sat in the Captur GT Line and made sure it was suitable. Me and Renault agreed I would have it, Even though I already had a Iconic Renault Captur on order from the other local Renault branch, they were happy to change this, so it was all agreed for me to have the Renault GT Line model. This met my requirements because of the height of the seats and the heated seats which would be beneficial for my pain issues. So it was all agreed but then suddenly when I got home Renault wanted to charge me £215 on top of the £595 advance payment of the car because it had a dashcam installed, I have the emails to prove this also. I spoke to someone from Motability on Friday 5th April regarding this and was told by Motability that if I wanted the car without the dashcam then I could do that and Renault would have to take it off. However, Renault refused and I couldn’t have the car I wanted and which was more suitable and I had to have the Iconic Renault Captur which I really didn’t want. I felt pressured into having it because they wouldn’t let me have the other one unless I paid £215 for the dashcam, making it over £830 in total with the advance payment on top of the dashcam fee. The GT Line version was more suitable for me and that is what I wanted and what me and Renault agreed I was going to have. Then I felt I couldn’t back out for the order of the Iconic Renault Captur so I picked it up on Monday, however the other one is what was more suitable. I’m really not happy with this because I haven’t got the model I wanted to have and not only felt pressured but Renault made it extremely hard for me and went against what I was told by Motability. It’s been a stressful experience and after having the opportunity to change my car I’m disappointed that I haven’t got the car that met all of my requirements. As I say I have all emails confirming I wanted the GT Line version and it was all agreed and all emails from both local Renault dealers stating they would go ahead and arrange for me to collect the Renault Captur GT Line model. Plus the emails stating they would charge me £215 for the dashcam and also then refusing to remove the dashcam therefore leaving me with no choice but to have the other car and going against what I was told by Motability. I have several emails that will show all of what I have said. I will also add that I wasn’t given the chance to inspect the car when I collected it and just had to enter the PIN and it had 12 miles on the clock. Also I ordered a Desert Orange/Black car and it’s more Brown/Black and I hate the colour and it wasn’t what I was expecting and to me isn’t as described either. I have put in a complaint to Motability but don’t expect anything to happen unfortunately. That’s the car I’ve got, not only doesn’t it meet my requirements 100% as I should have had the Captur GT Line version, as stated above I didn’t get to inspect the car before I entered the PIN. There were 12 miles on the clock when I picked it up and the colour definitely isn’t Desert Orange unless I need to go to Specsavers? It was all agreed for me to have the GT Line Captur in Red/Black and even Motability said Renault would have to remove the dashcam if I didn’t want it but Renault refused and I felt pressured into having this car instead, I know I ordered the Iconic first but that was because Renault were not honest with me and stated they didn’t have any in stock and they only had this. Motability have fobbed me off saying it’s my responsibility even if I did feel pressured but they will refer to the Customer Relations team if I want them to which I will ask them to do so. But I don’t hold much hope. Hopefully I will get some good opinions and advice. Why didn’t you inspect the car? Buddy all dealers BS but the pin is your protection. Return it and get what you ordered. Motability should wave any cancellation fee. Because I wasn’t given the option and yes I do admit some fault in this. Motability have said it’s my responsibility and won’t do anything about it, they have said they will pass it to the customer relations team if I request that, I have just done that and await their next response but doubt they will cancel it given I just cancelled my Clio to get this one. I could go to the Ombudsman if Motability don’t resolve it but I don’t really want to have to go down that road. Would you say it’s Orange? I’d say it’s Brown and I hate the colour, definitely not what I wanted or expected on that issue either. Renault should have removed the dashcam and let me have the GT Line Red/Black one that I agreed with Renault to have until they started trying to rip me off. Motability told me Renault would have to take it off if I requested that but as Renault refused I got lumbered with this car instead. On 4th April Renault agreed for me to have the GT Line and said they would cancel the order for the Captur Iconic, I have that in writing. I honestly wouldn’t like to say which way this could go, they may agree to a swap, they may say no, they may say the scheme isn’t suitable for you. The only advice i can give is if you want to pursue this in to a formal complaint, then do this in writing, attaching emails as evidence. You mention motability fobbing you off, with a written complaint they cannot. What motability might say though, is when they gave you permission to terminate your last car early, they would have advised you to ensure the next one you chose is 100% right for you. Regardless of the wrong model, colour – you could still have refused to enter your pin, you already knew the GT Line was more suitable to your requirements, but you seem to have prioritised a stock car, over model choice. Did they quote how long you would have to wait for a GT Line from order, as that would have seemed the best solution seeing as the stock car came with a dashcam you weren’t willing to pay for. I feel your complaint, if you make one, must address for what reasons you felt pressured in to entering a pin for a car that you find unsuitable, and in a colour you don’t like. Thank you for your reply Trev. One of the key issues was Renault never told me I’d have to pay £215 for the dashcam until I got home and it was verbally agreed for me to have the car then. 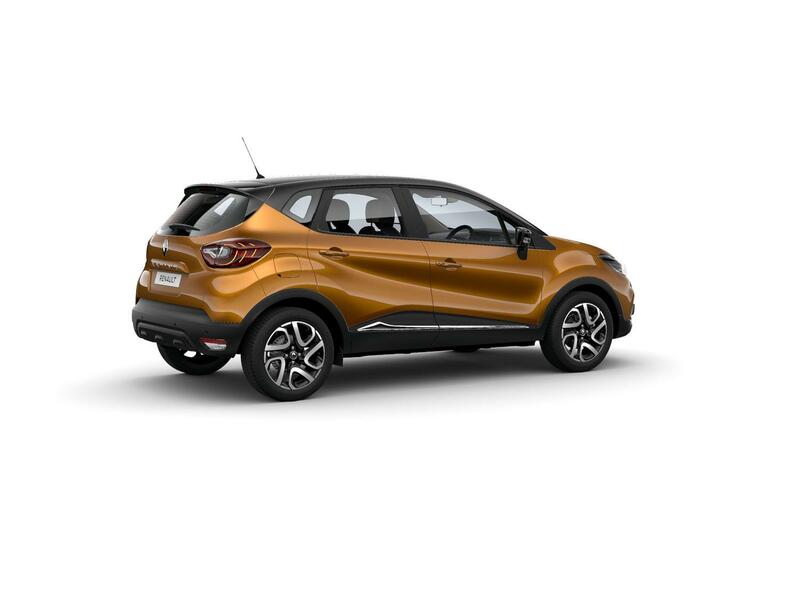 Also on Thursday 4th April in an email Renault states that they would cancel the order for the Captur Iconic from their system and order me the GT Line, they failed to do so and that’s why I felt pressured into having the Iconic. They said 2-3 months for a factory order GT Line, I would have waited. Motability also informed me if I didn’t want the dashcam Renault would have to remove it but they wouldn’t so Motability aren’t totally faultless here either and neither am I, but Renault I have the issues with along with the car. I will do my best to resolve this and keep you updated. Also Renault failed to offer or provide a test drive in either, isn’t that against Motability rules? I only got to sit in the GT Line model which is how I knew that car was suitable as it had leather seats and heated seats. Surely you wanted to rest drive it too, to check the seats suited you on the GT model? I think your allowed to cancel 3 times in seven years if I remember correctly? so you may be able to cancel this one, but then that’s it, so make sure you test drive and are 100% happy before you enter you’re PIN number. As for the colour that’s easy to check by looking at the log book sticker code. Or checking the Vin number with Renault UK. I don’t understand why you felt pressured, if you weren’t happy with the dealer cancel and walk away. The ring round dealers with the model you want to test drive. But also the dealer should have gone through a check list, showed you around the car and how everything worked, before entering the PIN number, before driving off. Apologies if I miss read your earlier post but you are the customer, if you don’t get what you want and have agreed then walk away. I am sorry but I am a bit confused by your complaint regarding the colour. You say in your opening post that the vehicle was on the forecourt when you went to order the vehicle. Surely you had a look at it, particularly as it was that exact vehicle you were ordering? In any case, looking at the Capture palette, there is no other colour remotely similar to it. Hence both looking at your photograph and the image Paul has posted above, they are the same colour – Desert Orange. In any case, I fear Motability will charge you the ‘early exchange’ fee of £250 for changing your current Captur. Ironically, this is more than the cost of the camera fitted to the one you wanted. Thus, albeit you will get a pro-rata refund of paid AP on your current car, if you then order a Captur GT Line diesel auto, you will actually have ended up paying more than if you had just paid for the camera equipped vehicle in the first place! SurreyGuy sounds like you are a ditherer and dont think things through. Then you blame others for your own failings. I know this is not what you want to hear and I can sense the incredulity in the more reserved comments above, but you need to accept you were wrong to enter the pin knowing full well its not your desired car. Why would you do that? No dealer forces customers to do anything. You are a grown adult. As for the colour choice it takes one second to Google the colour and see real life pictures of that colour in the metal. It’s exactly the one you ordered. I would not expect any sympathy from Motability or the dealer, quite rightly so. I have to agree with surreyguy. Glad you posted that stock pic, I thought my peepers had stopped working for a minute there, that is the right colour, one of those in that colour on my street and it looks fab. Does the car you got have leather seats or just cloth? If they are cloth then why would you need heated seats as I’ve never got into a car with cloth/velour seats and thought they were cold, tbh it never entered my mind until I got the leather seats, too cold in winter, too hot in summer. so going forward. The facts remain yes unfortunately you have entered your pin and excepted the car, the pin is our only safeguard against experienced and unscrupulous dealers and sales people, but it’s not fair for Motability to put the onus solely on you, it is there system that has failed and in doing so it’s allowed a dealership to take advantage, Motability own new online dealer computer system requires the dealer to go through a check list to Insure suitable to that individual, it’s this system the dealership has bypassed (had they not your concerns wold of been picked up at that point) this allowed them to take advantage and Motability has to take responsibility for allowing this to be able to happen and discipline the dealership not portion blame on you. My advice is to take them up on dealing with with a customer relations team, ask for an individual as a case manager as you would prefer to deal with one person rather than mulitable people. Explain in full the situation and be confident in the knowledge the dealership at no point offered a test drive or went through system checks, tell them your refusing the vehicle and you require the correct one, explain you would like them to deal with it as you struggle with the process, it’s then down to your case manager to resolve the situation on behalf of its customers and not to bow down to its dealerships. although difficult and may cause yourself distress, time really is key here, be brave make that call, the sooner you officialally refuse the vehicle the better, any costs incurred should be covered by either Motability or the dealership as it’s them that have bypassed procedures and broken thier own rules at the expense of your comfort and requirements. I wish you the best and please keep us informed. Some of us are strong communicators, some of us are less confident and as a consequence can easily feel pressured by “professionals”. We’re all different guys and girls, so let’s continue to support each other with positive comments. I agree with you JS on the PIN acceptance because even I had the wool pulled over my eye’s when I collected my current car with it being a MY18 model and not the “as promised by the dealer” MY19 and as the differences are under the hood but important I never noticed at the time until they opened the showroom doors for me to get under way. Bottom line is I can live with the car for 3 years as it is perfect in almost every way but I will have the last laugh when I turn up at the dealers in a couple of years time for the MOT before hand-back and tell them I’m going back to the VAG group because I can’t trust KIA dealers and I know for sure what I ask for is what I get specification wise with VAG. Thank you for all of your replies even the not so good ones. I’ve also found out my car is a MY18 and not a MY18 on top of everything else not sure that matters. I have got Motability to pass it onto their customer relations team and I am awaiting their next response. They seemed to blame me 100% in the first reply so won’t be holding much hope for any different in the next email. But I will keep you updated. I do suffer with several physical health issues but I’m also suffering with anxiety and a few other health issues on top of that lately which doesn’t help. Thank you again for your help and support so far. Good luck and remember the dealer didn’t do his proper checks that the vehicle is the one that suits your needs. Out dealer went over a long two page check list as our car had a fair few options we didn’t order, but gratefully excepted. I have checked and the colour is the orange you mentioned. It was probably just parked under a spot light etc, could have looked different with the reflection of the cars either side. Before I got our car the dealer sent us a personal data sheet, stating it was am my19 model and exactly what was included, plus the name of the paint finish etc. As Trev says get things moving and keep ringing the claim handler. Say you get easily confused and feel you were pressured into the wrong car, that will likely be what gets you a good outcome. Just found out my car is a MY18 model, is this allowed given that I got it in April 2019? I was expecting a MY19 model. Also my complaint has been esclalated to the Motability Customer Relations team and I am awaiting their response. Yes SurreyGuy1981 that is allowed, and it is common when obtaining a stock vehicle, rather than ordering one off the production line. Dealers normally offer these vehicles at a discount to shift stock, but not always. It is a sharp learning curve, we have all been in the position when joining the scheme of not knowing the many process and questions we should be asking. I certainly made mistakes when my wife joined the scheme and didn’t start getting things right until our 3rd vehicle on the scheme. This forum has an invaluable wealth of information which we urge you to keep asking the questions and take onboard the answers given. Hopefully you will hear back about your complaint shortly, when they do come back to you, and if you are not happy with their response you have the right to ask for an escalation of the complaint. As always keep us posted. With regards with the car being MY18 or MY19 this can very across manufactures and models but if you have the latest MY## then this will mean the car is the current model but doesn’t mean its any different from the previous year model. If you dig deep enough you can find what’s different in your model between 18 and 19 but maybe something or nothing. In my case case it made a big different because MY18 only had a manual hand-brake whereas the MY19 model has the Electronic Hand-Brake and having had EHB in my previous car it became a biggie for a disabled driver like myself however I did have two previous Motability cars with standard handbrake so knew I could get by. I won’t go into the LED lights all round because for me that’s cosmetics and I can’t even see them when I’m driving but another cause for concern was the auto dimming mirror that came with MY19 but not MY18 but this being my first car that can carry a fully assembled scooter and hoist to load it I never even notice the mirror until at least a month later because with rear view limited by hoist and scooter I drive the car as if it’s a van using the wing mirrors. With all that said I noticed yesterday on the KIA UK website that the Carens is no longer available so that also explain why it never showed up as having it’s WLTP ticket so my thinking now is that KIA themselves had me over as much as the dealer because they knew the Carens was going to be discontinued and there was never going to be a MY19 with EHB. Thanks for the further replies. My complaint has been escalated, will see what happens and see if they offer to do something, if not I have the option of contacting the ombudsman.